NATIONAL NEWS - Just four days after his record-setting victory in the Sanlam South African Amateur Championship, Christo Lamprecht (16), from George, constructed a flawless six-under-par 66 at Leopard Creek Golf Estate to sweep into the first round lead in the prestigious African Amateur Championship in Mpumalanga yesterday, Tuesday 28 February. Connor Syme from Scotland, who ranks 18th in the world amateur golf rankings, set the early target at five under, but the 16-year-old Southern Cape junior fired six birdies in the afternoon edge to the top of the pile. Fellow Scotsman Eric McIntosh signed for a 69 to share third with Darin de Smidt from Gauteng and Western Province junior Luca Filippi joined Gauteng North’s Jason Smith and Khaled Attieh from Saudi Arabia at two under. The first day certainly belonged to South Africa’s top ranked juniors. Lamprecht and Filippi solid opening efforts and a 78 from Ekurhuleni’s Jayden Schaper saw the GolfRSA Junior SA Team finish the first day locked in the lead with defending champions Scotland in the 54-hole Team Competition. The Scots put together their two under 214 with the 67 from Syme, an even-par 72 from Liam Johnston and a 75 from Craig Howie. South Africa’s senior team are not far behind, though. Kyle McClatchie set the pace for Team RSA with an opening 72, Marco Steyn added a 72 and Aubrey Beckley carded a 73 to put the team in the hunt at even-par 216. Team Switzerland finished a further stroke back and Team India closed out the top five at 224. 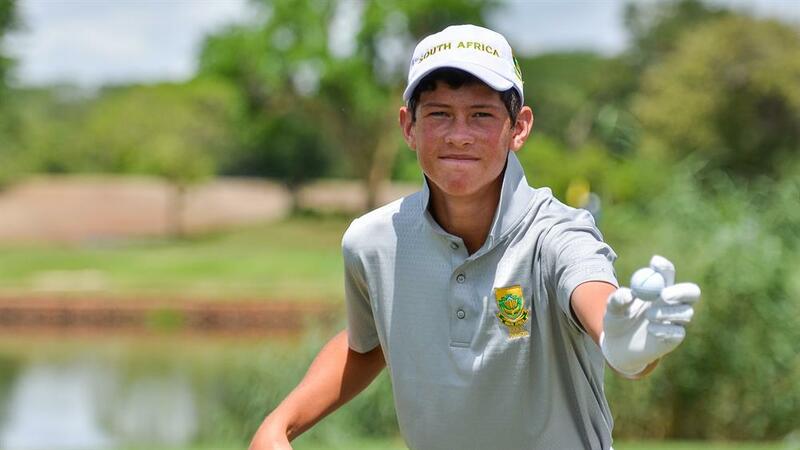 Lamprecht said he made a positive decision to start a new chapter at Leopard Creek this week and being part of the Junior SA Team helped immensely to push the reset button on his 7 & 6 triumph in the final round at Humewood Golf Club last Friday. Lamprecht didn’t have a fantastic day with the driver, but his iron-play was lethal and the putter behaved nicely. “I managed to keep the ball in play, and I gave myself a lot of chances with really solid ball-striking into the greens,” he said.